Resumes Can be the difference between an Interview Or the Discard Pile. Recruiters will spend on average 6-8 SECONDS on a resume before deciding if a candidate is a fit. With so much competition in today's market, why leave it to chance? At INSIDE RECRUITER, we understand how important it is for you to land your dream career. We provide effective resumes written by recruiting professionals who know what to look for and know what to improve on to give your resume a competitive advantage. Tell us your career goals and our resume experts will develop a strategic resume so you can land the next step in your professional career. You are a professional. We make sure you look that way on paper. Get inside the mind of a recruiter. Each resume is customized to the needs of each client. We implement proven strategies into your resume and don't use templates. Your resume will be emailed directly to you in a Microsoft Word attachment. All our resume writers have backgrounds in recruiting and write resumes based on how other recruiters search for and select candidates. Our experts are provided tools and strategies that help resumes out-perform the competition. You will first have a phone consultation with your resume writing expert to discuss the current resume, career goals, and strategy (30-60min). 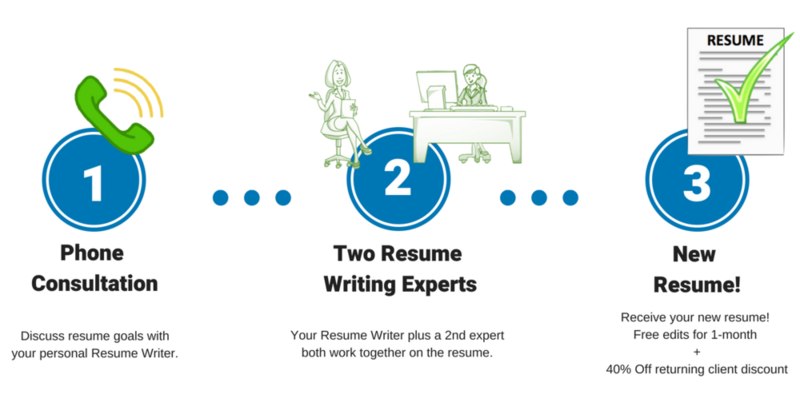 All resume drafts are reviewed by a 2nd resume writer/editor to ensure quality. 1-month of free additional resume edits if needed. Returning clients receive a 40% discount whenever a resume is needed in the future. Our pricing is simple, straightforward, and based on your current experience level. Not sure which pricing category you fit in? Fill out our “Get Started” form and our team will send you a free quote for our services. JD, MD, PharmD, CPA, RN, P.E. Where Are our clients Now? Whether you are a seasoned professional looking for a career change, or a new grad just looking for a job, we can help you reach your goals. Our expert resume writers have experience in most industries and have helped many clients land their dream jobs. Resume Specialties Include: New Graduates, Accounting, Corporate, Finance, Marketing, IT, Technology, Human Resources, Sales, Operations, Project Management, Organizational Development, MBA/Grad School, Hospitality and more.